New amateur bands have been assigned in Bulgaria. In the future LZ hams will be able to use bands 472-479 kHz, 5250-5450 kHz, 70.0-70.5 MHz and in addition the 1.8 MHz band has been extended up to 2 MHz. All those bands have to be used on secondary basis. Following an earlier test in 2011, for 2014 ten Czech amateurs received perimission to use 5 MHz. The authorized SSB and CW frequencies are 5288.5, 5330.5, 5366.5, 5371.5, 5398.5 and 5403.5 kHz, with a maximum power of 100 watts ERP. The Spanish PTT has authorized the use of several frequencies in the 5 MHz (60 m) band from January 1st to June 30th, 2014. The authorized frequencies are 5268, 5295, 5313, 5382, 5430 and 5439 kHz, with a power of 100 W PEP. A team of IARU officials attended the Working Party 5A, B and C meetings that took place in Geneva 20-30 May. IARU Region 1 was represented by Hans Blondeel Timmerman PB2T, while DARC was represented by Ulrich Mueller DK4VW and RSGB by Colin Thomas G3PSM. Working Group 5A-1 chaired by Dale Hughes, VK1DSH completed a report documenting characteristics of amateur stations at or near 5.3 MHz that will be considered by Study Group 5 at its next meeting in December. The group worked on a Report analyzing compatibility of amateur operation at 5.3 MHz with existing in-band and adjacent band services, as required by Resolution 649. More work needs to be done at the November meeting. A revision of the Amateur Handbook was carried out by a sub working group chaired by Colin Thomas, G3PSM. Some work was done on the CPM text for WRC-15 Agenda Item 1.4 (to consider a possible new allocation to the amateur service on a secondary basis within the band 5 250 - 5 450 kHz). 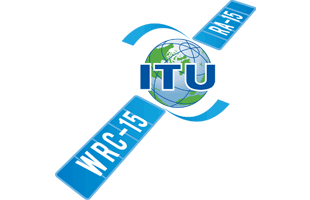 IARU presented its position on WRC-15 Agenda Item 1.18 (to consider a primary allocation to the radiolocation service for automotive applications in the 77.5 - 78.0 GHz frequency band). Amateur representatives from other IARU regions included Tim Ellam VE6SH, Bryan Rawlings VE3QN, Ken Yamamoto JA1CJP and Brennan Price N4QX. The temporary allocation on 70.000-70.200 MHz has been renewed for the calendar years 2013 and 2014. Access is granted on secondary basis. Maximum bandwidth is 16 kHz and power limit is 100W. Licensees need to apply to the PTA for a special permit, which is open to both license classes. PTS has now started to issue permits for experimental transmitters in the 5MHz band. Presently the following frequencies apply: 5310-5313 kHz, 5320-5323, 5380-5383 kHz and 5390-5393 kHz. Bandwith is limited to 3 kHz independent of type of modulation. PTS requires a fee for the administration. The permits are limited in time to 6 months. Swiss Regulator BAKOM informs that from 1 January 2013 amateurs are allowed to use the band 472-479 kHz with 5 Watts EIRP.